Having spent a few weeks in South Africa whilst covering the Mzansi Super League, I have come away with the impression that the Test series against Pakistan is one that people there are talking about a lot and are eagerly waiting for this contest as many feel that this will be a competitive series. The general impression is that the visitors' bowling attack is very good but, in my view, this will be a difficult series for Pakistan. However, with a little bit of good planning, this should not have been the case. The reason why I say this is that we all knew that this tour of South Africa was coming up in December where we have historically struggled. We had an opportunity to get ourselves ready as we had two series in UAE which could have been used for better quality preparation for the task ahead. So, we could have asked the curator to make different wickets than the usual ones but the fact is that we were more focused on winning the series with whatever advantage we could get in those conditions. The reason for this seemed to be insecurities within the team and also in the cricket Board and it appears that point of view prevailed when it came to the preparation of wickets in the UAE. So Pakistan prepared for the all-important series ahead by playing on turners, and now they will be confronted by tracks that are bouncy in nature. 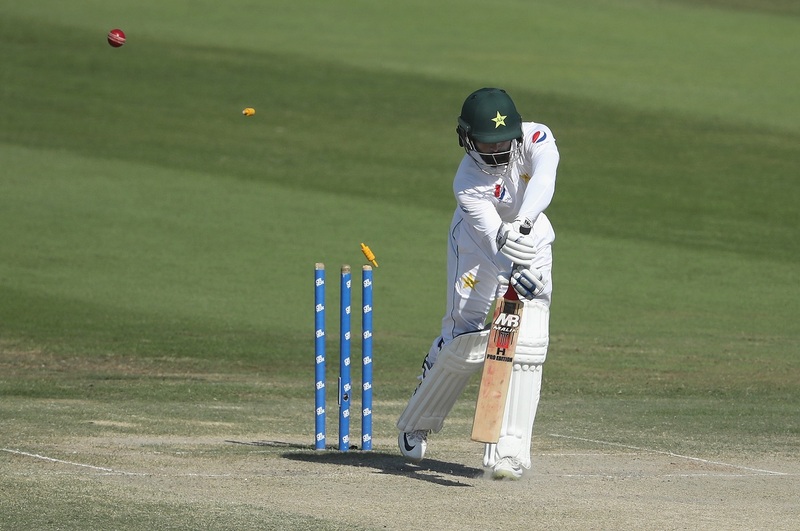 Why did Mohammad Hafeez take the place of a promising youngster in the Test side? The biggest blunder that the PCB made during the preceding two series was the selection of Mohammad Hafeez, who played in both Test series and when it was crunch time for Pakistan, he retired with a whimper and without much fuss. One should really sit him down and ask him why he wanted to play Test match cricket so badly and then retire like that? Why didn’t he let a youngster play in his place during those two Test series in UAE to build his confidence before the tour of South Africa and produce something good for Pakistan cricket? It might sound a little unfair, but the Mohammad Hafeez selection for the series against Australia and New Zealand also places a huge question mark on the competence of the Pakistan selection committee. The upcoming series against South Africa will also represent a huge test of Pakistan Head Coach Mickey Arthur’s abilities. He is very much aware of the conditions in the country and will need to provide expert guidance to the batsmen as well his bowlers to produce good performances on this tour. Another important point where Mickey Arthur will be judged on will be the fitness of players on tour. Now we know that he is a stickler for this aspect of cricket and has been known to discard and drop players like Sohail Khan who do not meet his strict fitness standards. He does not compromise on the fitness of players and this is a quality which is very admirable. Now, if it then comes to light that Pakistan have players on tour in South Africa such as Fakhar Zaman, Shadab Khan or Mohammad Abbas who are struggling with injuries or fitness, then I am afraid this will appear to be nothing but a case of double-standards. What it will show is that the players he dropped due to fitness issues were people he did not personally like and this will not look good on him. It will be spoken about as a matter of personal like or dislike on his behalf and if it is shown that he can lower his standards for some players than there will be doubts about the sincerity of his intentions when it comes to serving Pakistan cricket. When it comes to the choice of the side for this tour, let me just say that I am not a selector, so I can only watch from the sidelines and like many of us wonder if they have chosen the right personnel for this series and if this is actually the best side, they could find in Pakistan. The question which will be asked of the selectors in the event of failure is that this side was not chosen overnight but is a result of many months and years of forward planning, so why did we not pick the right players for the tour? When a batsman is selected for the Pakistan side, as a selector, you picture this player in your mind to be competent against spinners and fast-bowlers on all types of tracks. And if it is the case that these are the only quality players we can find in the country, then one must ask about what work has been done to rectify the problems they have exhibited in the recently concluded series? If the selectors have done their job right, the batsmen on tour will do well, else I am afraid the nature and method behind the selection process will be called to question and the answers may not be that pretty. It appears that all people can think of now is to ask for Sarfaraz Ahmed to quit as Pakistan captain as if this is a new problem. I pointed this out at the time when Misbah-ul-Haq and Younis Khan played their last Test against West Indies. My view then was that it would be very wise for the PCB to speak to Younis Khan and tell him that you have been a great servant of the country and we would like you to take on a challenge and postpone your retirement. They should have appointed him as captain for Test matches for a year or so to settle the team down and allow for a new captain to emerge, be groomed and then he could retire. Everyone may say that Sarfaraz is unable to cope with the pressure of Test captaincy now, but I was clear in my mind about what would happen in the future if my suggestion wasn’t followed and that is exactly what is the case now. I hate to say it but for those who did not pay attention to me before on this topic, my advice is to stop complaining and suffer in silence. I always liken touring South Africa to playing golf as when playing on a golf course, you aren’t just playing the game against an opponent, but you are going up against the vagaries of, and challenges that come with the environment as well. Similarly, Pakistan will not just be playing against the South African Test team, they will be confronted with very different conditions than what they are used to. In terms of identifying threats from the opposition. without being too negative, I would say that every player in the South African side will be a threat to Pakistan. But there is hope for Pakistan and it lies in a simple formula of scoring 300 or more runs in the first innings. If Pakistan can consistently do that in the upcoming matches, with the bowling attack they possess, they will have a great chance to compete or even win the series. Whether Pakistan's batsmen can get those runs is something we can hope and pray for and to be honest, it will be a case of good luck or divine help if that does happen. Younis Khan wanted test captaincy but the PCB didn't oblige and Younis retired. Kinda surprising that the proteas see us as a good competitor especially after what happened against nz. Also we are the 7th ranked team. I wouldn't read much into sohails comments. We should have gone to SA earlier and played another practice farm. Bang on the head this one! Hafeez and his retirement, similar to Malik's one I suppose? Wasn't Amir Sohail the biggest supporter of Hafeez according to folks on PP? Agree regarding Hafeez but ridiculous regarding Younis Khan. YK stayed way too long and was scoring once every 10 test innings, retired couple of years too late. made chief selector by PML gov. He made many blunders and selected a fast bowler Yasir Ali in test, without a FC experience behind him. As for his comments about Sarfaraz, let's not forget Aamer Sohail has form for this; specifically his senseless comments ahead of the CT Final which created unnecessary controversy and distracted the team. Sohail is a bad analyst and wants the limelight like all Pak ex-cricketers. Although I agree with the Hafeez assessment but he could have said this while Hafeez was playing. What is the point of analyzing this when the horse has already bolted. Last edited by MenInG; 23rd December 2018 at 08:03. Plus if he knew about Hafeez's selection being bad, why did he stay quite till now? In hindsight, everyone can come up with such statements! When Hafeez is in form, which he is nowadays in white ball cricket, he certainly can play at 3 in ODIs. He plays spin better than babar, can hit big while Babar can't. But both have similar strike rotation issue, they just can't rotate the strike freely in ODIs. Moving forward we need guys who can nudge the ball around takes single and doubles.